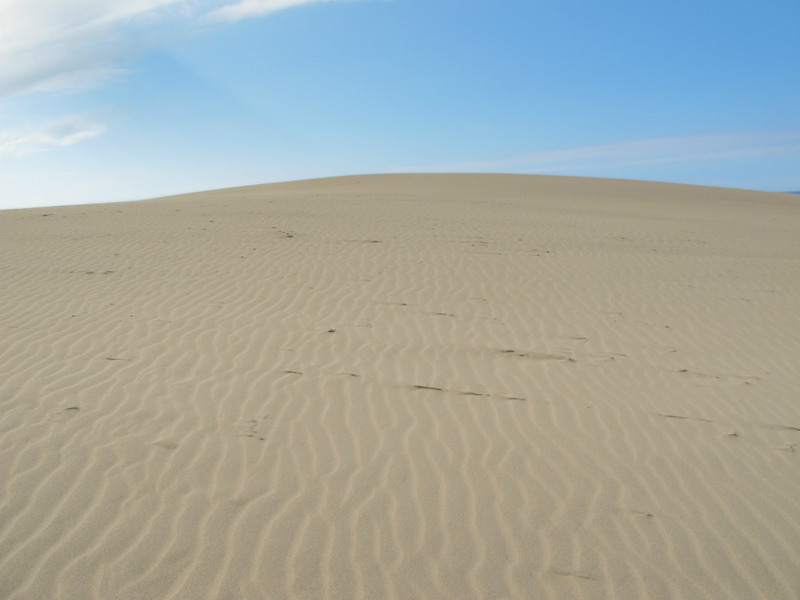 Unlike most highly meticulous tourist experiences in Japan, the Tottori Sand Dunes represent a rougher, wilder side to the country—some 32 square-kilometres of off-the-beaten-path “desert”. On the Southwest region of Japan’s Honshu island, in the sleepy industrial capital of Tottori city, explorers can find the magical sight of these crescentic dunes. 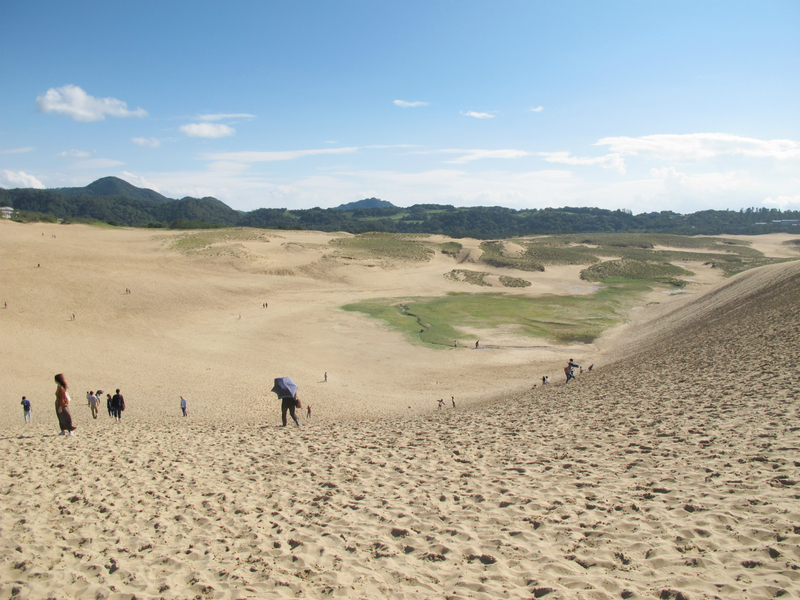 While Tottori’s stretch of sand is lovingly referred to as “Japan’s only desert”, there is neither arid climate nor barren landscape; the only desert-like quality it possesses is a rolling scene of wind-sculpted hills. It’s a visual oddity, as if someone performed a physical cut-and-paste operation and plopped a patch of rectangular sand onto the otherwise verdant coastline. 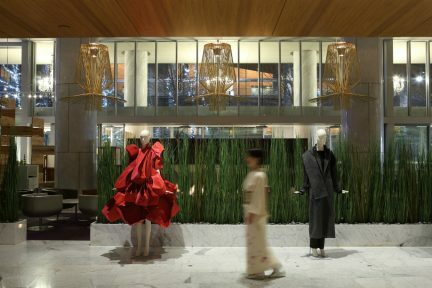 Surrounding the sand dunes is a paradoxical geography: a coniferous forest, a grassy lagoon that grows with each rainfall, and the immense Sea of Japan. 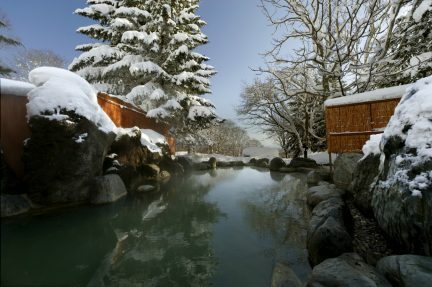 These contrasting aquatic features threaten the destination’s very existence, yet they bring about an otherworldly and mystical quality that attracts visitors from near and far. Formed from sand carried by the Sendai River that flows from the Chūgoku Mountains, the dunes have gradually eroded over time. In the past 50 years, the shoreline has receded 40 metres, causing locals to lament that part of their childhood landscape has been erased. 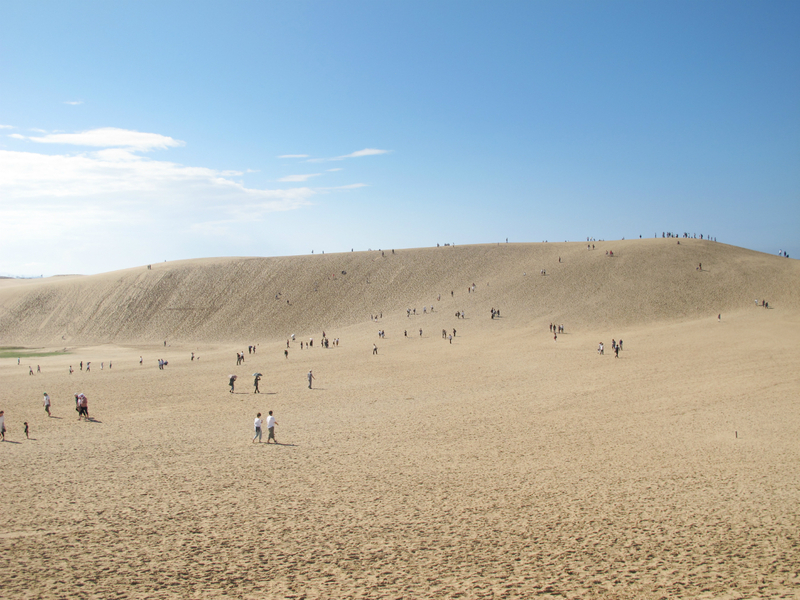 This means anyone who wishes to view the Tottori Sand Dunes has only a finite amount of time to do so. 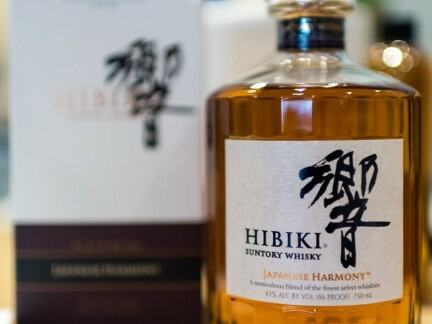 The dunes meant nothing much to the local people for many centuries, but with the help of some notable mentions in 20th-century literature, Tottori became interesting and intriguing. The sandy banks served as a backdrop for a heartbreaking poem by Takeo Arishima (shortly after his visit to Tottori, the writer and his lover committed a double suicide, making the dunes famous across Japan); the surreal qualities of the dunes also provided colour for avant-garde Japanese author Kōbō Abe’s 1962 existential novel Woman in the Dunes. 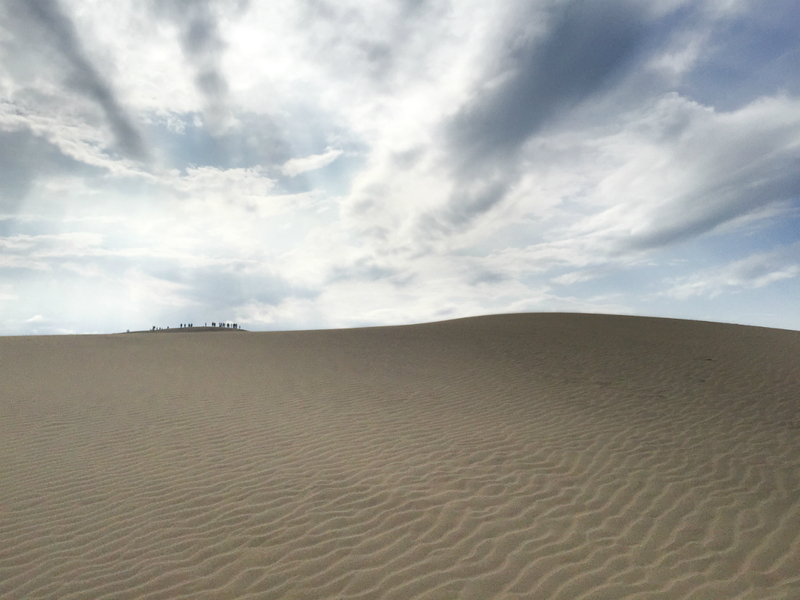 Anyone who wishes to view the Tottori Sand Dunes has only a finite amount of time to do so. On any given day, there are young couples in matching kawaii outfits, kids tobogganing on cardboard sheets from the 90-metre-high dunes like it were Christmas Day, and adrenaline-pumped adventurists paragliding or sandboarding. Adults and toddlers alike trek up the windward side of a dune, reach the crest, and then, without hesitation, run down the steep slip face that can angle upwards of 40 degrees. The trick? Unlike hiking, where sidestepping down the mountain proves safest, here you dig your heels into the mountain of sand and run—fast! Many complete the Saharan-like experience with a camel ride. While some relish digging their toes into the grainy sand, on hot days reaching up to 50 degrees Celsius, local tourists approach nature in a much more conservative—albeit practical—way. Laughing families protect their feet in white rubber boots borrowed from the open-air gondola service transporting visitors down to the dunes; some people move about in stockings and carry parasols, while others simply saunter along in their own shoes. A stone’s throw away from the gondola is a gift shop touting the prefecture’s prized export, the Tottori pear. 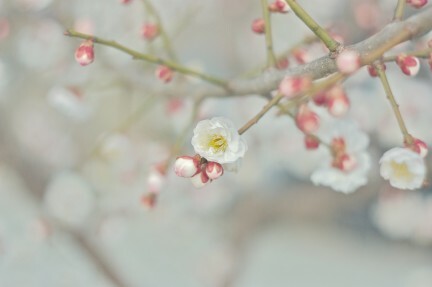 The large apple-shaped pears are delicately hand-pollinated by farmers before being transformed into every possible Japanese confectionery: mochi, wafers, sponge cakes, and soft-serve ice cream. 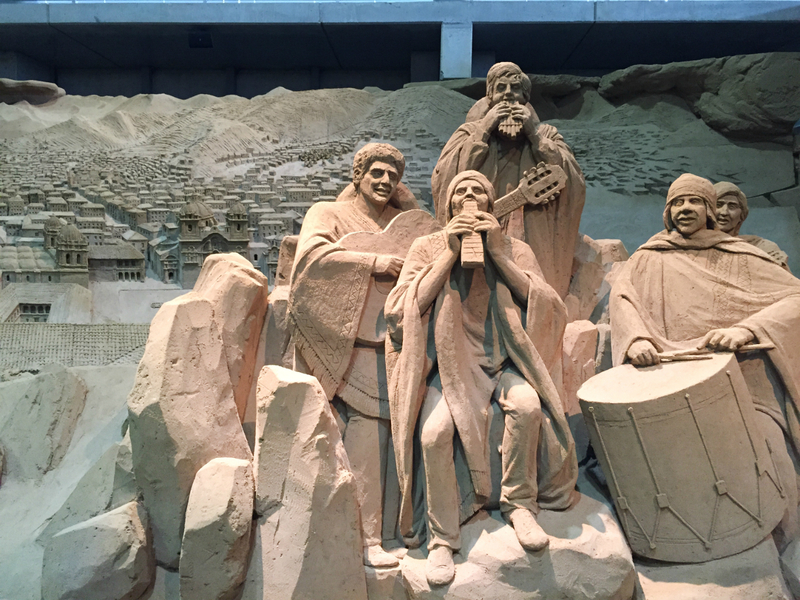 The Tottori Sand Museum is the world’s first permanent indoor sand museum, where artists from around the world are invited to create annual exhibits based on international themes (vivacious Brazil was the star of the show in 2016 in light of the Rio Olympics). 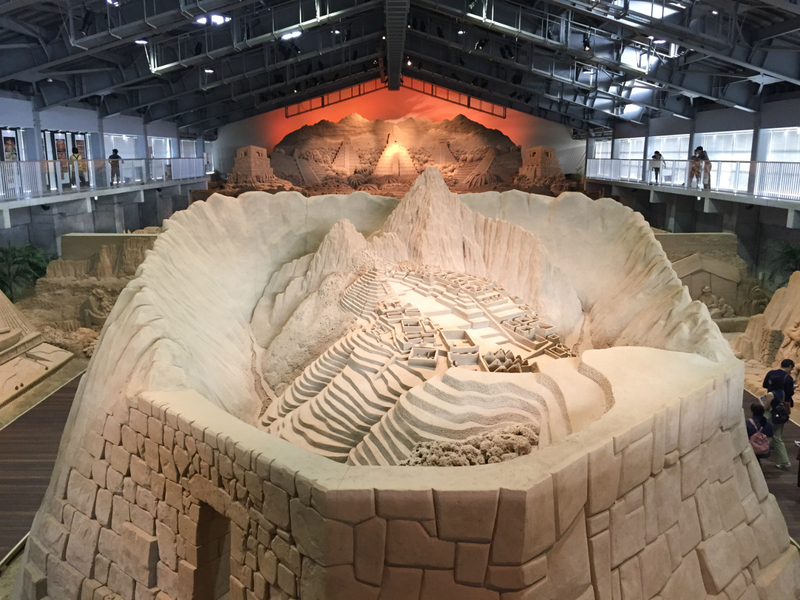 The impermanence of these large-scale, award-winning sand sculptures is, like the whole of Tottori, a reminder of the beauty that exists in fragility. One gust of wind is all it takes for everything to change.